We are experienced and trained at water heater troubleshooting and replacement. If your water bill unexpectedly increases, or if you have a concern about leaky pipes, we have the expertise to locate and repair it. Our team at Bob Hoegler Plumbing started serving our customers in 1985, and for over 30 years, Bob’s been a professional plumber serving customers in Old Bridge, East Brunswick, Manalapan, and beyond. Our team is friendly yet experienced, passionate yet precise in each and every service we perform. We take pride in our work, no matter the size or scope of a project.  We also have an A+ rating from the Better Business Bureau, which speaks to our commitment to keeping our customers satisfied. Call us today at (732) 521-0133 to find out why Bob Hoegler Plumbing is one of the best plumbers in Monroe Township, Central New Jersey, and beyond. We are operated directly by our owner. We provide prompt and reliable service to each and every client. Our work is 100% guaranteed, no matter the service. We provide only a top quality plumber. We prioritize customer service with each job we perform. Call us today at (732) 521-0133 to get started with a high-quality plumber!